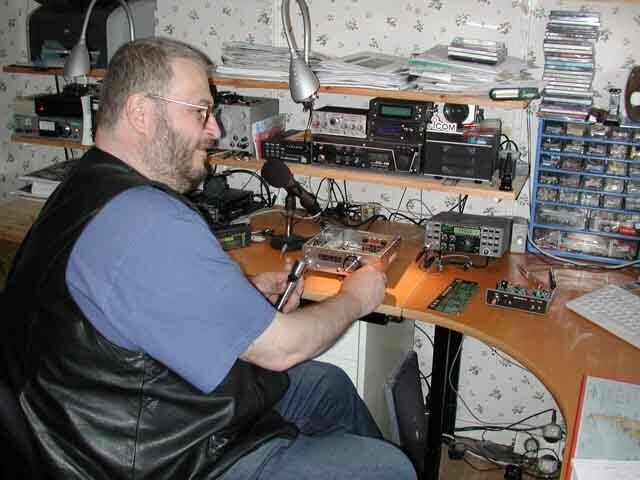 On a vacation trip in june 2005 I had the opportunity to visit SM0JZT Tilman D. Thulesius, who is the QRP editor of the swedish ham magazine QTC , at his home in Stockholm, Sweden. Picture to the right ->. He was very kind, picking me up in his car at the ferry terminal, giving me a brief sightseeing of Stockholm, and then having me for afternoon coffee at his home. He and his lovely wife treated me like a king, and we spent a couple of wonderful hours chatting about upcoming and past QRP events. And for the first time I got to see and feel the working QROlle #0002. Finally he drove me back to the ferry. Thank you for a nice eyeball QSO Tilman!! 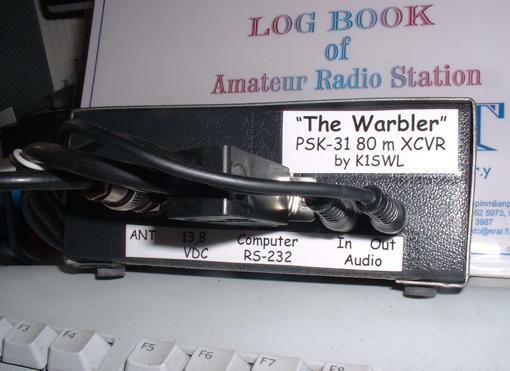 On my vacation 2005 I built a tiny transceiver; the "Warbler", a kit from Smallwonderlabs in USA. The first time I tried it out, I got a QSO with SM6/OZ7IT Jörgen who was i southern Sweden. QRG about 900 km. Pretty good with only about 4 watts, eh..? More about the warbler here! 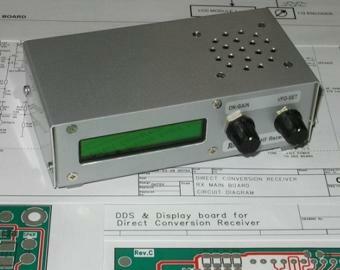 I have also built the JUMA RX1 which is a small HF basic general coverage receiver constructed by Matti, OH7SV and Juha, OH2NLT. The project appeared in the #6 issue of "Homebrewer", the AMQRP magazine. See http://www.amqrp.org/ Articles are also published in Norway (Amatørradio) and Denmark (QZ-magazine) and in the Swedish QTC, october 2005 issue, excerpt here!